The Sunday after Halloween is reportedly the only time that fairy portals are visible to the human eye, (or so we are told.) 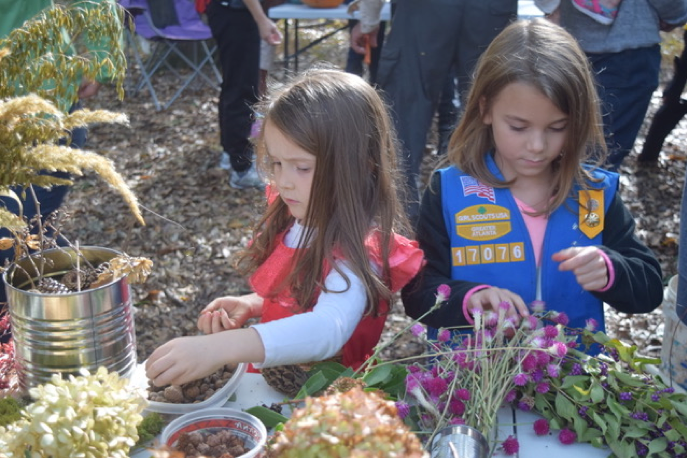 Thus, on the glorious afternoon of November 4th, members of the Norcross Garden Club (NGC) offered fairy lovers of all ages a rare opportunity to engage with the wee folk in their woodland world. 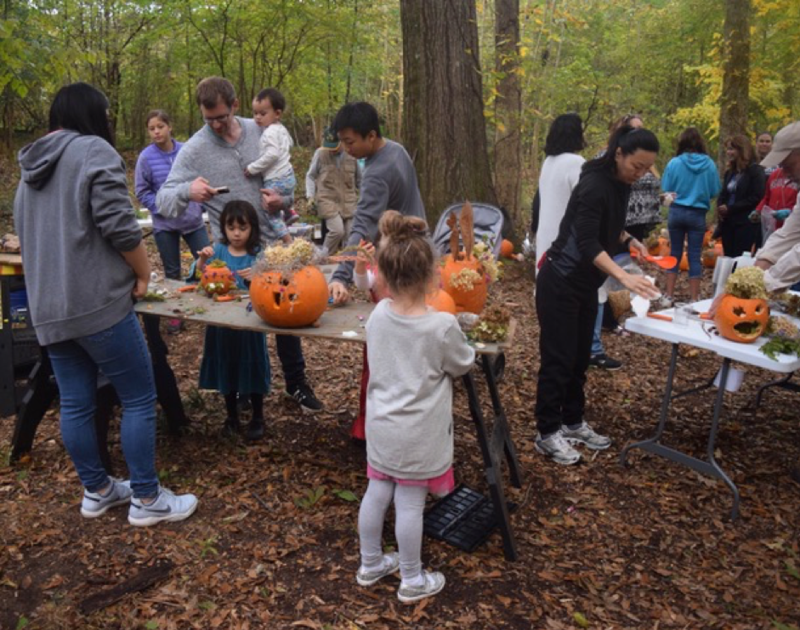 Hosted in the heart of Norcross’ Johnson Dean Forest Preserve, “The Enchanted Forest” offered 2 hours of nature-based fun which included repurposing leftover Halloween pumpkins as fairy houses. 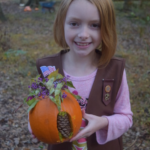 The creations were constructed using natural items found during a short nature hike, supplemented by lichens, flowers and shells collected in advance by NCG members. Imaginations ran wild – an empty husk from a Black Walnut tree became the perfect fairy bed, with a bit of moss as a soft coverlet. One house was even stocked with tiny cups of water made with acorn caps, and pink Beauty Berries for midnight snacking. 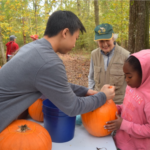 Although most of the participants were between the ages of 6 and 10, both they and their parents reported a magical afternoon spent playing, relaxing and learning in the forest. 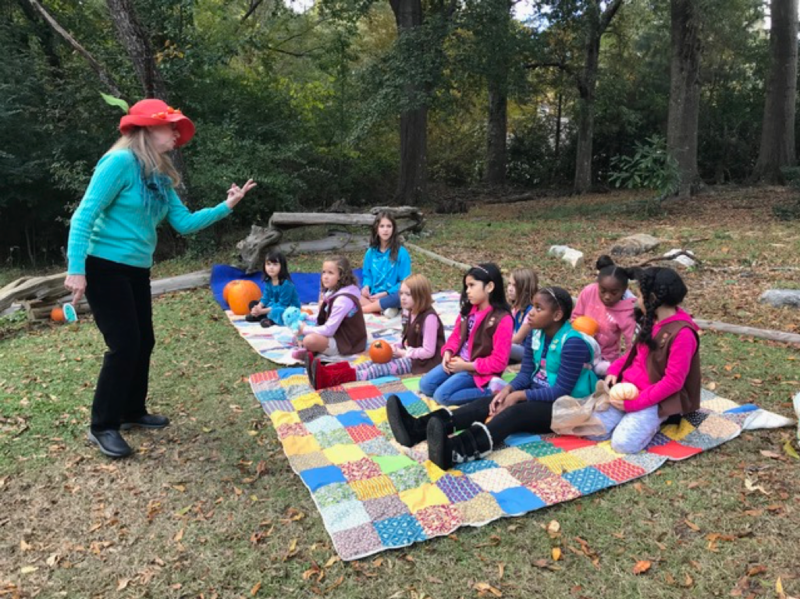 Jill Swenson, a storyteller, retired first grade teacher and member of the Norcross Garden Club, introduced the group of Girl Scouts to the secrets of forests and fairies. 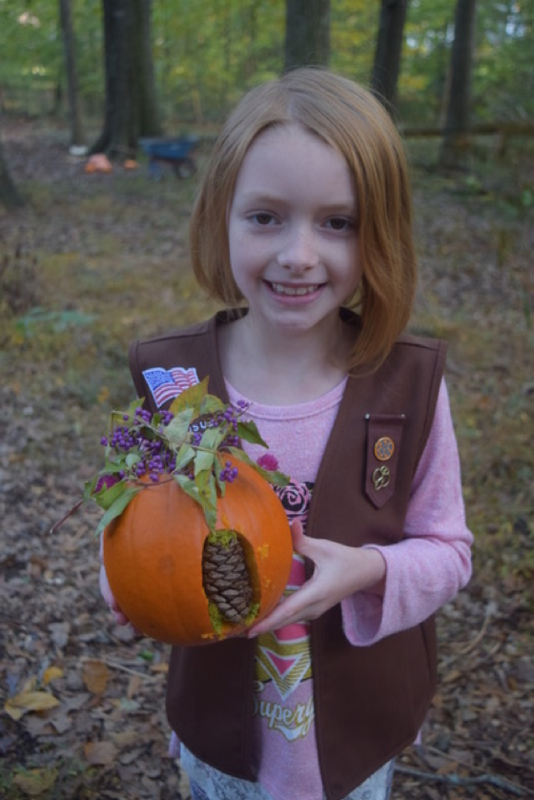 This experience enabled the girls to earn their Outdoor Badges! 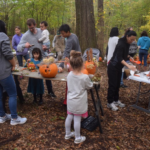 Inspired by the storytelling and excited by their finds during the hike, participants were surprised to discover tables set up in a clearing along the forest trail, creating a woodland studio. 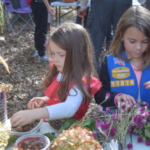 To supplement the acorns, pinecones and intriguing twigs found on the nature hike, NGC members had fun collecting material from their gardens, providing additional inspiration and creativity. What fairy could possibly resist this residence? The interior was fitted out with a tiny bed and a table with 2 chairs “not for dinner, just for snacks with my best friend”. Those who finished their masterpieces early got to make pinecone bird feeders, hanging them in trees so the fairies were guaranteed visitors. 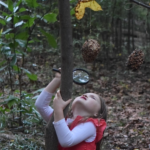 Magnifying glasses from the Dollar Store provided an inexpensive way to open up whole new worlds….and search more closely for fairies! 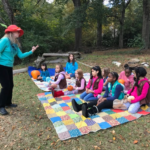 “The Enchanted Forest” was dreamed up by NGC member Tixie Fowler, a Master Gardener and environmental educator with the Soil and Water Conservation Districts in Gwinnett and DeKalb counties. ME. TOO! It’s the wealth of talents and the generous sharing of resources that made this (and all of!) our activities so inspiring and fun. 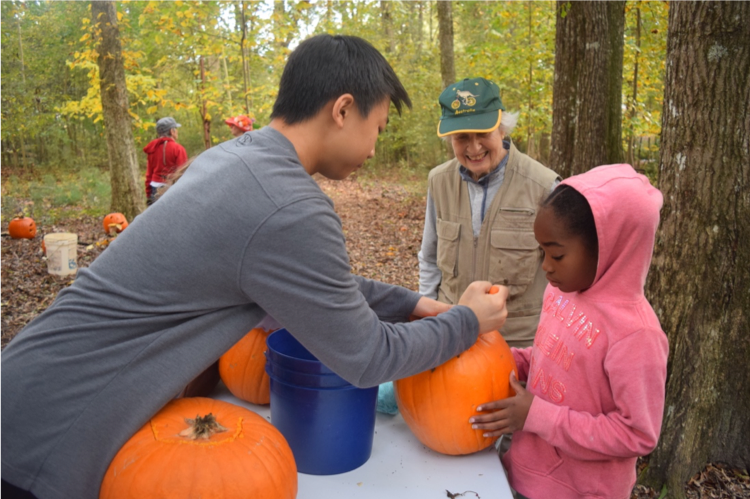 I really appreciate the variety of programs and volunteer opportunities our club offers, too – something for everyone to contribute to and enjoy!